A Crucial Week: Teach your class Irish phrases for St. Patrick's Day! Teach your class Irish phrases for St. Patrick's Day! This one is for non-Irish teachers or teachers of non-Irish children. 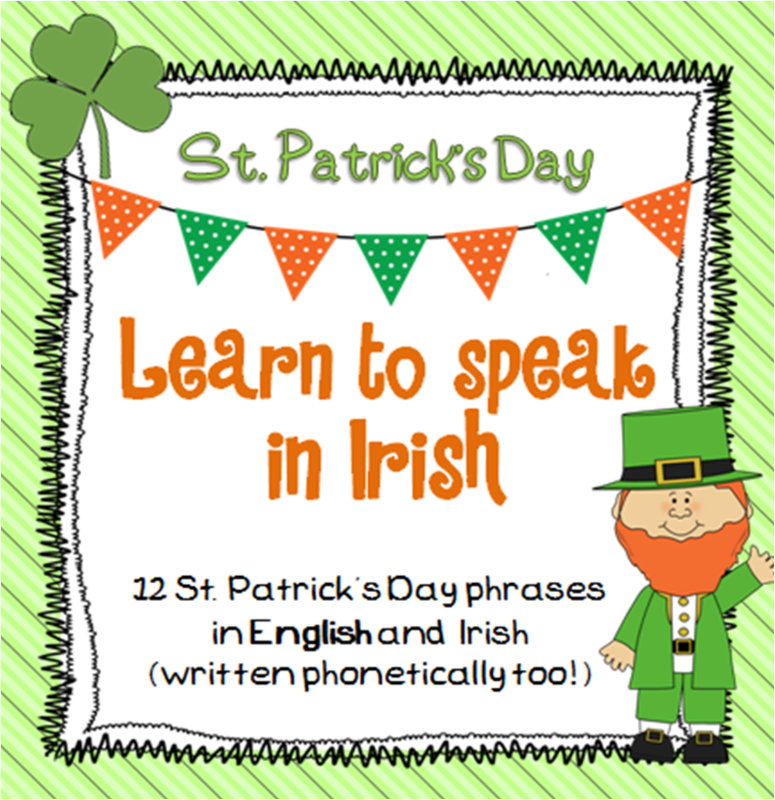 Want to teach your class some phrases in the Irish language to celebrate St. Patrick's Day? Don't know how to speak Irish? Never fear, A Crucial Week is here! I've just added a set of 12 flashcards with phrases written in English, in Irish (and also phonetically underneath!). To purchase for just $1, hop on over to my TPT store by clicking here or on the image. Please bear in mind that this will be included as part of a bigger set of St. Patrick's Day resources (70 pages!) that I will be adding to my store in the next week. If you think you'd like the bigger pack, hang on a little while before purchasing!